Great Raft Brewing out of Shreveport cranks out some of the finest beers in the state. Their new collaboration with the John Besh Restaurant Group is something I’m particularly jazzed about. 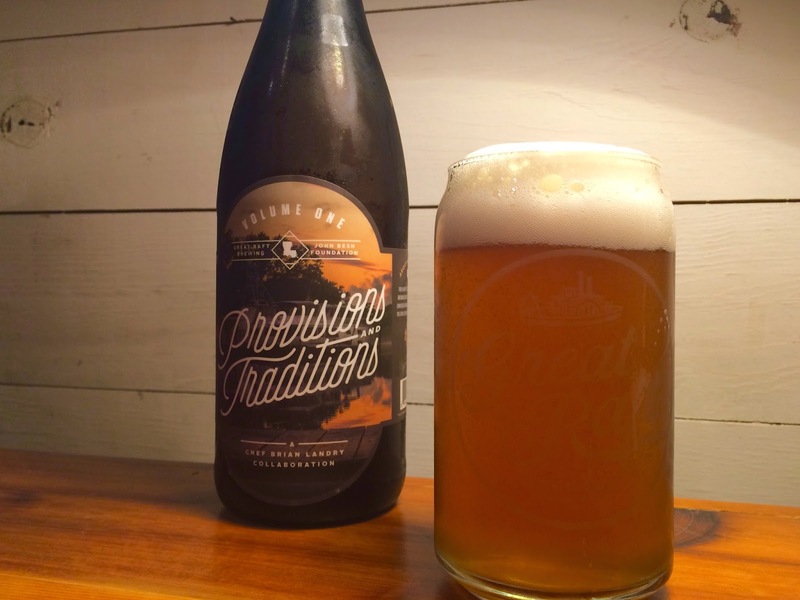 Co-owners Andrew and Lindsay Nations, along with their brewmaster Harvey Kenney, have released their first beer in a series of four to go with the different styles of cooking at each Besh restaurant. This is all being done in the spirit of bringing together the two things Louisiana loves most: food and beer. For every bottle sold, Great Raft Brewing will donate one dollar to the John Besh Foundation, which helps preserve the rich culinary history of Louisiana. Volume One: Provisions and Traditions is a collaboration with Borgne’s Chef Brian Landry. The dry-hopped Kölsch made with Louisiana Cajun Country Rice pours with a thick white head that doesn’t disappear. Like a good Kölsch, there’s a bready maltiness up front, but the hops come through on the back end. I like that there’s a sort of muted citrus pop with some grapefruit notes after the cracker-like malts in the beginning. All of the flavor notes are balanced well, and the beer is well-carbonated which offers a slight effervescence. I’m looking forward to the next collaboration release, which shouldn’t be too far away. Until then, you can enjoy Chef Brian Landry’s dishes at Borgne in New Orleans with this delicious Great Raft Beer!